"INAXTION SPEAKS OUR LANGUAGE AND KNOWS EXACTLY WHAT WE ARE LOOKING FOR IN TECHNICAL STAFF"
ENGIE designs, builds, renovates, maintains and manages large installations for companies such as Shell and BP. They operate in the Marine & Offshore, (Petro)Chemical and Food & Pharmaceuticals markets. Their customers want their installations to be optimally available, as that is how they produce their goods. ENGIE ensures that any maintenance work takes as little time as possible, without sacrificing either quality or safety. In addition, customers in the Marine & Offshore sector, for instance, have very specific requirements. For instance, they may need an installation which ensures that a ship at sea remains completely motionless despite swell, wind and currents, in order to install a wind turbine. This is just the sort of job for ENGIE! 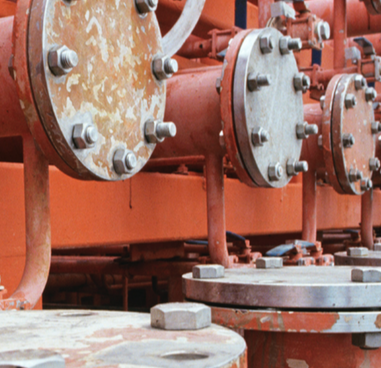 ENGIE carries out major maintenance activities on a project basis in the petrochemical industry. During peak times they need large numbers of extra personnel. They used to employ all of their own people, which caused problems in winter and summer when there was not enough work. That is why ENGIE looked into using specialised temporary employment agencies able to supply highly-skilled technical workers for specific projects within a short time-frame. In 2011, ENGIE held discussions with five specialised temporary employment agencies for a specific project: one of the Shell factories had failed and needed be returned to full operation as soon as possible. ENGIE needed 400 mechanics within a week. It was a chaotic project in view of the extremely short notice, but InAxtion and its fellow agencies were able to supply the personnel needed within the given time frame. Since then, ENGIE and InAxtion have been working together closely. "When staff are deployed to a project for a month or two only, it is very important that they can get down to work the minute they come through the door. After all, they only have limited time in which to complete the job." In order to make this a reality, ENGIE needs the expertise that InAxtion can offer. "They not only find the right people, they will also train them if necessary.” And that is of paramount importance; if you have no experience in the petrochemical industry and don't know how to handle hazardous substances or are not familiar with the safety regulations, you run enormous risks. InAxtion takes these worries off ENGIE's shoulders. They also look after time-consuming administrative tasks such as organising the necessary documentation and certificates: "InAxtion has an international network and will get staff from Portugal or Germany if necessary. "EVERY PROJECT RUNS MORE SMOOTHLY, SMARTER AND FASTER THAN THE PREVIOUS ONE"
Every project runs more smoothly than the previous one. "Because we are always critical of ourselves and each other, and communicate openly. We regularly meet to discuss how we can be better, smarter and faster the next time. This mentality has led to great successes. This type of cooperation is unique. "INAXTION SUPPLIES SPECIALISED TECHNICAL PERSONNEL FOR EVERY PROJECT, WHEN WE NEED THEM"
Ernest Markus, Head of Personnel Planning at ENGIE. Ernest Markus is Head of Personnel Planning at ENGIE, a challenging job at a company that has to deal with times of peak demand when large numbers of extra staff are needed. "And not just any staff - we need specific technical know-how and skills. If we send someone to a Shell factory for a big maintenance job, they have to be productive straight away." This requires extremely detailed planning and placing the right people on the right job for the right period. "ON WEDNESDAY, WE TOLD INAXTION THAT ON MONDAY WE NEEDED 400 TECHNICAL STAFF ..."
We used to employ all our own technicians. This meant that we were in control of who we took on. On the other hand it required us to have a reasonably steady flow of work. Especially in summer and winter, there was just not enough work for everyone. "In 2011, an extremely large project came up unexpectedly, for which we needed 400 extra people within a week." One of the Shell factories experienced failure. Shell called on ENGIE to ask them to get the factory back up and running and refining oil again as quickly as possible. 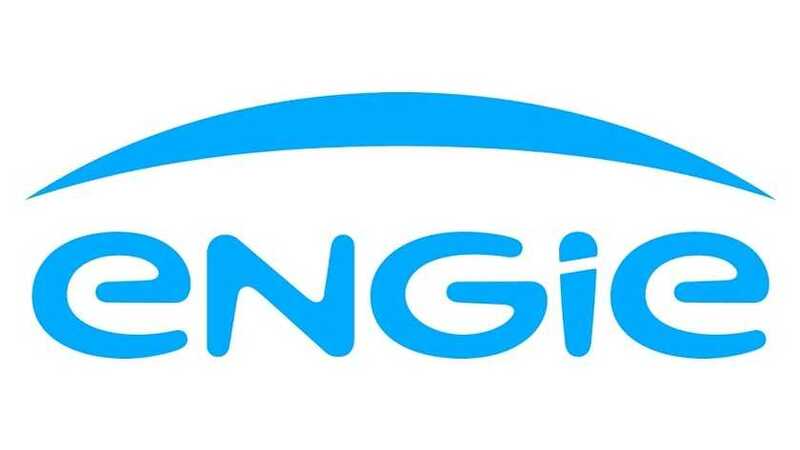 "It was a Wednesday when we found out that we needed 400 extra people the following Monday..." ENGIE immediately entered into negotiations with five temporary employment agencies specialising in technical personnel, including InAxtion. "We needed temping agencies that spoke our language and knew exactly what kind of skilled people we needed." Those 400 people were found and InAxtion played an important part in ensuring that ENGIE could fulfil this project for their client Shell. But it was a chaotic project, as Ernest remembers: "If you are suddenly presented with a crowd of 400 new personnel who all need to start within one week, coordination is a big headache, as you can imagine. The big problem was training: those 400 people were all skilled in their jobs, but needed extra training to be able to work efficiently and safely in the petrochemical industry." Despite the apparent chaos, the project was completed successfully. This turned out to be the start of a close working relationship. Not just InAxtion but all the temporary agencies involved have been preferred suppliers to ENGIE ever since. "INAXTION DOESN'T JUST SUPPLY PEOPLE, THEY WILL ALSO TRAIN THEM"
Since the Shell project in 2011 we always use InAxtion when we need extra skilled people for particular projects." And from the very start we kept trying to find an even smarter and better approach. "Luckily, we normally know when projects are going to take place and we're able to start preparing months in advance. We include InAxtion from the start." The aim is always straightforward enough: "How can we get the right people in the right place for a specific period, sometimes for just 4 to 8 weeks, as smoothly as possible?" Together with the temping agencies ENGIE has drawn up a script, which is continually being evaluated and improved.